Lydia has been living a lie for the last twenty years.She will do anything to protect her husband, gorgeous, reliable Mark, and their two teenagers, from the secrets of her past – and her mother will make sure of it. When a figure Lydia prayed never to see again turns up at the school gates, Lydia feels the life she has worked so hard to build begin to slip between her fingers. Lydia's past will challenge everything her family thought they knew. Taking them on a journey that will irrevocably change their own lives – and Lydia's – forever. And when an inconceivable twist of fate sends everyone reeling, can Lydia fight to hold her already-fractured family together? Sometimes you read a book and for no particular reason you just love it. This is one of those books, except there are so many reasons to love it: the story is original, relevant and interesting, the writing is superb, the humour and wit are wonderful and the emotion is all too real. I smiled, I shed a tear, I sympathised, I empathised and I loved it. Kerry Fisher has produced a wonderful book in which anyone with teenage children will recognise themselves! 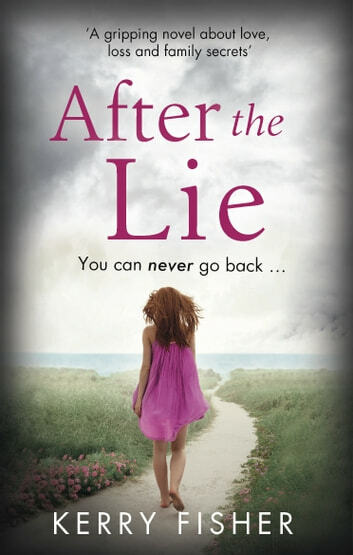 Thank you to Netgalley and Bookouture for the opportunity to read this in exchange for my honest review. Very engaging--the book only improves as you read it. I love the complications and compromises throughout this story; it's extremely believable, but with characters you cannot dislike. (Except that one character.) If you like this genre, you'll like this book. A novel and interesting plot that made you want to see the conclusion and it did not disappoint. A good read . 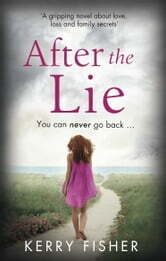 absolutely loved this book .. have now become a devoted Kerry Fisher fan ..